Hope you all had an awesome weekend. I love shopping .After becoming a mother going out for shopping had been hectic and difficult , that is when online shopping came in to my life like a ray of hope. From there on, I do most of my shopping online. 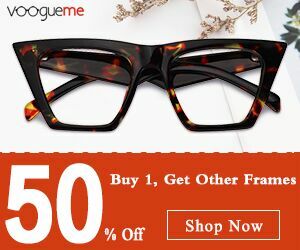 To know about the deals and offers going on in online shopping sites I regularly check coupon web sites, Zoutons.com is one such site which offers coupons from some of the major shopping brands. Zoutons.com has coupons sorted out according to categories like electronics, travel, baby products, clothing, accessories and more. Once you click the categories icon and select more, you get this following page which makes navigation easy. 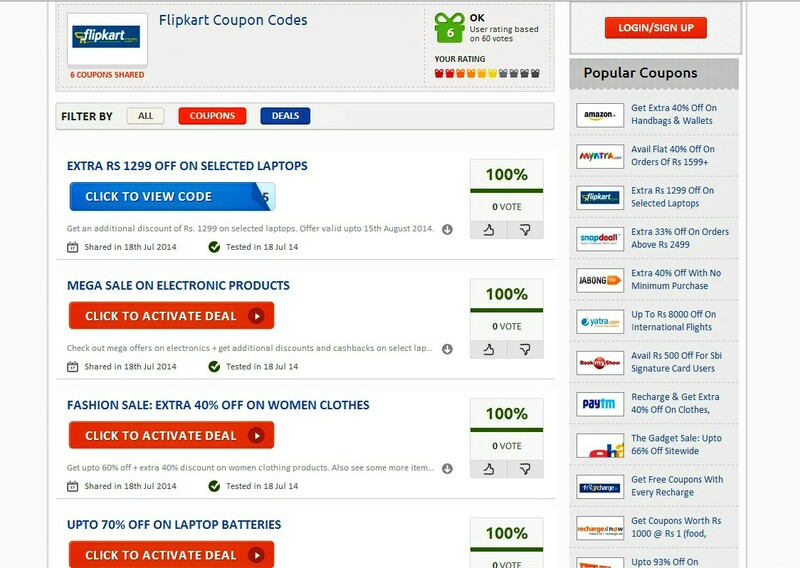 If you want to shop according to the online store of your choice, select Top stores and that will lead you to the page will all their coupons. 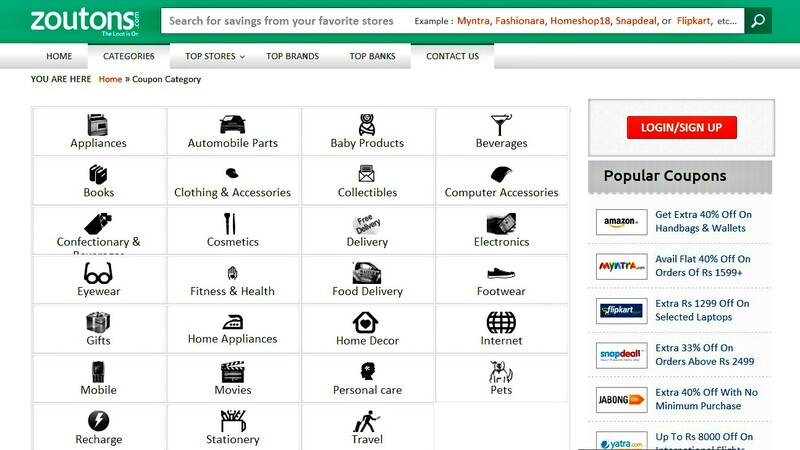 Thay also have top brands category where they share coupons from brands like Adidias, Biba, HTC and more. In Top banks category you get to know about the offers and cash back that you get while using the debit or credit card from a particular bank for online purchase. If you like an offer or a deal from a site click on it to activate the deal and get the coupon. I was looking out for the flipkart coupon and these are the offers that are currently going on in their website. If you would like to be well informed about on going offers you can also subscribe for their daily updates. Zoutons.Com is very easy to navigate, user friendly and you don't have to sign up to activate deal. 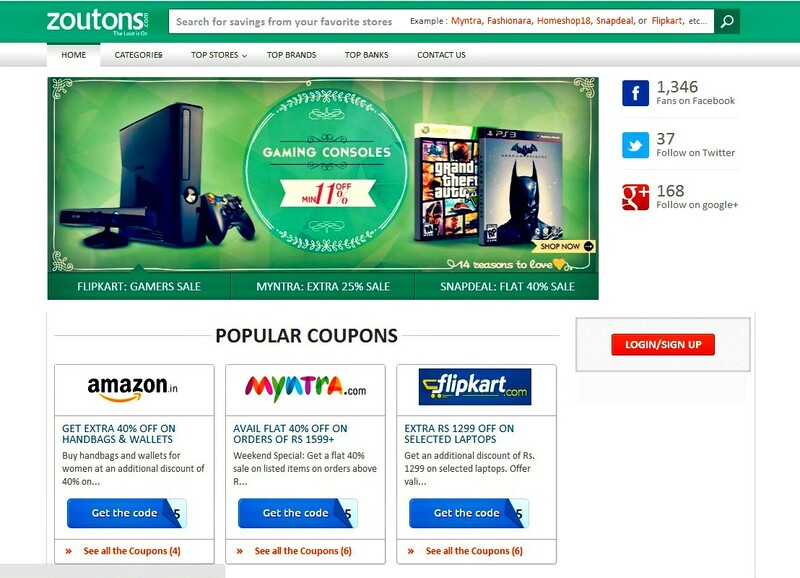 So next time when you are doing an online shopping don't forget to check out Zoutons for awesome coupons. What have you purchased Online off late ?